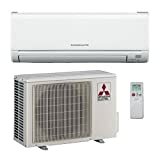 This Mitsubishi air conditioners guide includes information that will assist you in researching a ductless AC system for your home or commercial space. 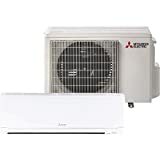 Performance and technical specs are included for comparing Mitsubishi ductless air conditioner models to one another and to other top brands See our reviews of Trane air conditioners and Rheem air conditioners for comparison. 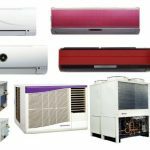 We have also reviewed ductless Mitsubishi heat pump systems and the recently released ducted Mitsubishi AC and heat pump systems. Mitsubishi Electric is known globally as an innovative producer of technology including HVAC equipment. It has been one of the pioneers in ductless heating and cooling. The Mitsubishi company was founded in 1921 in Japan and split into several companies after WWII. Today, Mitsubishi Electric has its headquarters in Tokyo with offices in Asia, Europe and the Americas. Mitsubishi remains the world leader in ductless systems. These split systems are often called mini-split systems because both the outdoor condensing units and indoor air handlers are smaller than those of standard ducted split system components. The AC-only systems include an outdoor condensing unit and one indoor unit installed on the floor, wall or ceiling. Each indoor unit cools a single room or zone. Refrigerant is carried from the condensing unit to the indoor unit where it captures heat. Then it carries it outside and disperses it through a radiator-type coil, effectively cooling the air indoors. Reviewing the specifications of Mitsubishi air conditioners is made easier by dividing the equipment into outdoor units (condensing units) and indoor units. 13 Mitsubishi condensing units are manufactured with capacity ranging from 9,000 BTU to 42,000 BTU. By contrast, ducted split system condensing capacity ranges from 18,000 to 60,000 BTU. Model MUY-GL09NA-U1 is the top pick for efficiency at 24.6 SEER. But it is the smallest too at 9,000 BTU, and it is suitable for one small room such as a bedroom. Efficiency of Mitsubishi air conditioners drops with size. So the Mitsubishi PUY-A42NHA6 is 42,000 BTU, but it just has 14.4 SEER efficiency. Sound level of outdoor units ranges from 48 decibels to 55d decibels compared with about 65 to 75 decibels for ducted split system ACs, and capacity of the outdoor unit is not. Upfront note: Unlike ducted split systems that have one outdoor unit and one indoor unit, split system outdoor units support up to four indoor units. And the total BTU capacity of indoor units must match the capacity of the outdoor unit. For example, a 36,000 BTU outdoor unit can be installed with one +/-36,000 BTU indoor unit, two indoor units of +/-18,000 BTU, four indoor units of +/-9,000 BTU units or another combination that adds up to +/- 36,000 BTU. Floor-mounted units are made in four sizes from 9,000 BTU to 18,000 BTU. All four floor-mounted indoor units include 5-speed fans for comfortable cooling. There are currently more than 40 wall-mounted indoor units ranging in capacity from 9,000 BTU for a small room to 34,200 BTU for a large room or open floor plan zone. Wall-mounted units are available in one style and three colors: white, black and silver. Wall-mounted indoor unit fan speeds range from 3-speed to 5-speed. It has sound levels as low as 19 decibels on smaller units and up to 40 decibels on larger units. MSY series indoor units are cooling-only. PKA and MSZ series indoor units accommodate both Mitsubishi air conditioners and heat pumps. Top picks are the MSZ-EF series wall-mounted indoor units with 17,200 BTU capacity cooling and 5-speed fans for optimal comfort. Ceiling-cassette indoor units install in the ceiling. 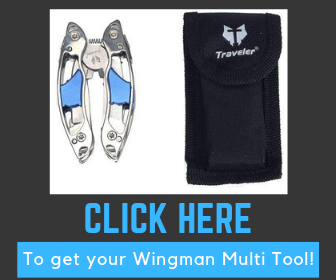 So they are ideal for drop-ceiling locations and use where a low profile is desired. Nine ceiling-cassette units are offered in the SLK 3-speek series and the top-pick PLA 4-speed series with capacities from 8,400 BTU to 42,000 BTU. All cassettes accommodate both Mitsubishi air conditioners and heat pumps. Mini-split, ductless systems from Mitsubishi have their advantages and disadvantages compared with competitors and other HVAC system types. 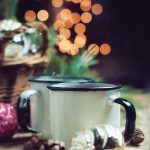 Here are pros and cons to consider and compare to other brands. Because Mitsubishi air conditioners are a popular brand, it is easy to find parts and service. As a reminder, these are Mitsubishi air conditioners, so they are not suitable for locations that require heat too. See our Mitsubishi heat pump reviews for AC/heating systems! The mid-size and large-capacity Mitsubishi air conditioners offer SEER efficiency ratings that are mediocre compared with the best standard split system air conditioners from Trane, Lennox, Carrier and other top brands. While ductless outdoor units are relatively quiet, these systems require that an indoor unit with a fan in each room or zone. There might be more noise in the immediate area than a standard split system would produce. Locations without AC or where the existing air conditioning isn’t adequate. If you already have duct work, installing a conventional split system is probably a more cost-effective choice. This is especially true if you have a large home. This is because the largest of these Mitsubishi air conditioners is 42,000 BTU, only enough cooling capacity for a home of approximately 2,000 square-foot and in a warm climate. Ductless systems are growing in popularity due to their flexible installation options, competitive cost and good energy efficiency. Are your family and friends considering going ductless? It should be one of their options, so consider passing this information on to anyone who might appreciate the information.